The increasing feed-in of electricity from fluctuating renewable energy sources (RES) can lead to sporadic excess supply of electricity to the grid and subsequently curtailment of RES plants and of existing thermal power plants. Industry has developed several technologies for energy storage at MWh scale over short time-periods of hours. Energy storage, which takes advantage of resources from both the energy sector and industry, coupled with the production of fuels for transport, offers a unique chance to integrate more renewables in the electricity grid and enable sustainable, rapid decarbonisation of mobility. 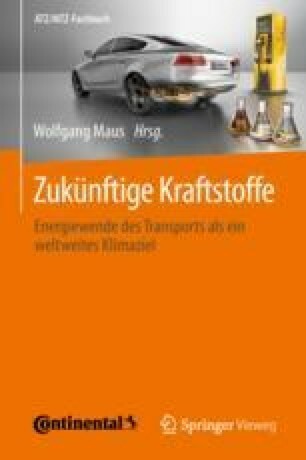 Fuels like methanol, gasoline, diesel or kerosene derived from hydrogen – produced from RES via water electrolysis – and CO2 – captured from industrial processes – have a lower CO2 footprint and do not compete with food production, unlike bioethanol or biodiesel. This technology offers a new business model to utilities, which today are restricted to heat and electricity production and play no role in the green fuel market. The paper is based on publications [1, 2, 3, 4, 5] as well as the references named in the publications and presents case studies on carbon intensity, efficiency, and economy of CO2 derived fuels that can be produced by existing technology. Furthermore, it describes a new business model for energy producers and energy intensive industries in co-operation with (petro)chemical industry. It is also shown that this approach will help to overcome issues with competition between the biofuel sector and food production. This new business model allows traditional power producers to diversify, in order to attract sufficient revenues in future markets with high RES penetration.